Good hygiene in schools is essential not only to provide a comfortable learning environment to students but to reduce student absences, illness and even death from diseases caused by poor hygiene. In 2010, 96,000 Ethiopian children under five died from pneumonia and diarrhoea, the fifth most afflicted country in the world. Both diseases can be mitigated by proper hand washing techniques. As well as a lack of toilets and wash stations, many Ethiopian schools find it difficult to maintain existing toilets and proper hand-washing is rarely taught or practised. On school visits, it is common to see evidence of defecating around toilets rather than in them. As a rule, students have no access to soap to wash their hands after they go to the toilet and before they eat. The project will work with more than 60 school in Amhara and Oromiya. The project will have two main activities: infrastructure building and hygiene awards. Link Ethiopia will build new toilets and water stations for a subsection of target schools based on need and will provide schools with grants to repair existing infrastructure. Teachers, parents and students from all schools will take part in a participation workshop to identify the hygiene needs of the school. The schools will set targets for themselves including toilet and tap maintenance, soap provision and creating awareness of good hygiene. 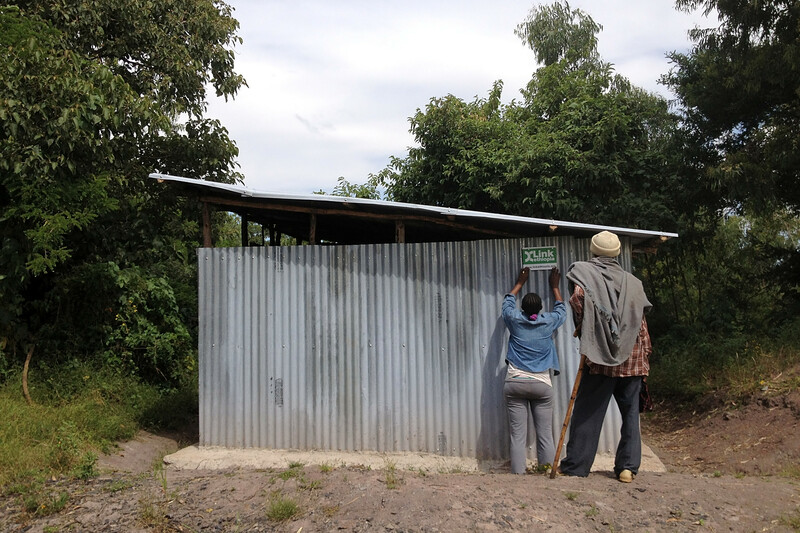 Link Ethiopia will provide low cost materials (jerry can taps) and hygiene training. The schools will receive support visits through the year and a gold, silver or bronze hygiene award based on their performance. In 2015, the Gondar and Bishoftu offices received training in how to run participation workshops in schools using the WASH project as an example. Peace Corps provided two training events in the Gondar office, one focused on project design which developed the concept of the new WASH project and a further hygiene training for our Project Manager which he will be able to share with schools. We are planning to begin a pilot project for the hygiene awards at the beginning of 2016 with five schools participating. The schools have all been identified as in need to WASH infrastructure so the awards which incentivise the schools to maximise the benefit of the new water stations and toilets. Support Good Hygiene in Ethiopia. Donate Now!. Even when schools can raise funds to provide toilets and taps, students are still at risk from poor hygiene in schools. Toilets are often not regularly cleaned and most schools do not provide soap for hand washing. The hygiene pilot will enter five schools in a hygiene award scheme where they can receive hygiene training, a workshop on hygiene needs of students and regular monitoring visits. The award scheme will reward schools who provide a safe and clean environment for students. Schools often struggle to keep toilets and water stations in working order. By providing schools the opportunity to apply for small maintenance grants students can get the benefit of safe drinking water and clean toilets within school for a small outlay. Link Ethiopia will invite schools to complete proposals for the grant money to improve their sanitation facilities. Priority will be given to the biggest potential impact on students. £1,000 will provide £200 grants for five schools. We have helped dozens of schools provide fresh water for their students. unfortunately, there are always more schools that need our support. A water station provides children with access to water for drinking and hand washing both of which are essential to their health and well-being at school. As part of our wider WASH project we will ensure that schools get the maximum impact from your investment, water stations are well maintained, and schools carry out good hygiene practice.